Daria Faïn is an acclaimed New York choreographer originally from Antibes, France. Her choreography fuses her European cultural background with two decades of practice in Asian philosophies of the body and American dance training. From this diverse background, Faïn has developed a unique movement and performance approach. She studied the classical Indian dance form Bharatha Natyam for five years in Paris with Amala Devi and in Madras, India with Swarnamuckie (State dancer of Tamil Nadu, 1982). In India she also studied the co-relationship between this classical form of dance and temple architecture. She was deeply influenced by her work with the Butoh-based artist Min Tanaka. With a grant from the French Ministry of Culture she studied at the Graham School in NYC from 1984 to1986. She has been certified in the Alexander Technique since 1991, and has been an instructor of the Universal Healing Tao (Mantak Chia Chinese Chi Kung University) since 2001 and studies Martial Arts with Master Allen Frank from 2007-2010. Faïn has also extensively researched the reciprocal influence between architecture and human behavior, and has given lectures on Swiss-born architect and urbanist Le Corbusier. 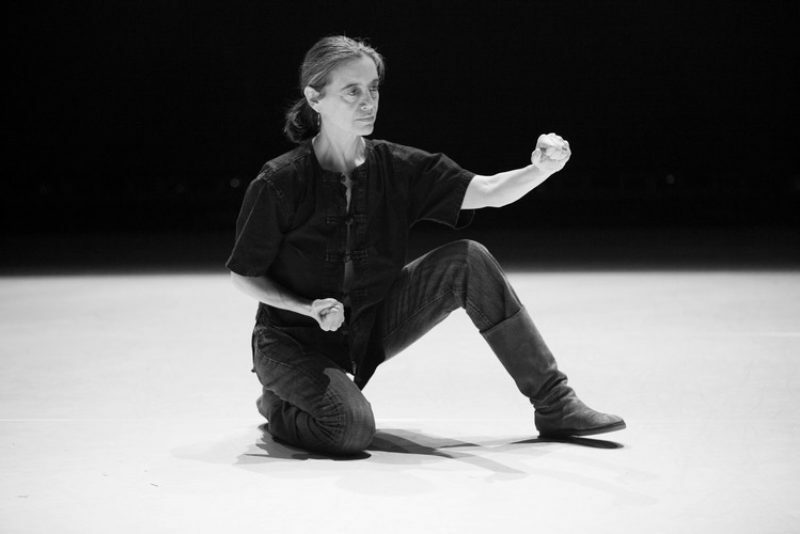 Over the years Faïn’s choreographic research has led her to work with people with mental illness, the developmentally disabled, and blind-deaf individuals, leading to a complex understanding of the body as a endless resource of knowledge. For The Commons Choir bio page, click here.